With Easter right around the corner I figured I would start sharing some recipes for treats! These chocolate Easter nests are so simple and kids (and adults) love them, so its best you make plenty! You can use any cereal you like to make these, but I like to use cornflakes. Break up the chocolate into squares and place in a plastic or glass microwave proof mixing bowl with the butter and syrup and heat in the microwave on 30 second bursts until melted, then stir until smooth. Add the cereal and stir with a spoon until it is well coated in chocolate. Place 12 paper cupcake cases in a bun tin and spoon the mixture into the cases. Place in the fridge to set for 30 mins. It really is that easy and they are a classic treat at Easter! Comment below your favourite Easter treats. Hands up if you love doughnuts! Of course you do, who doesn’t? 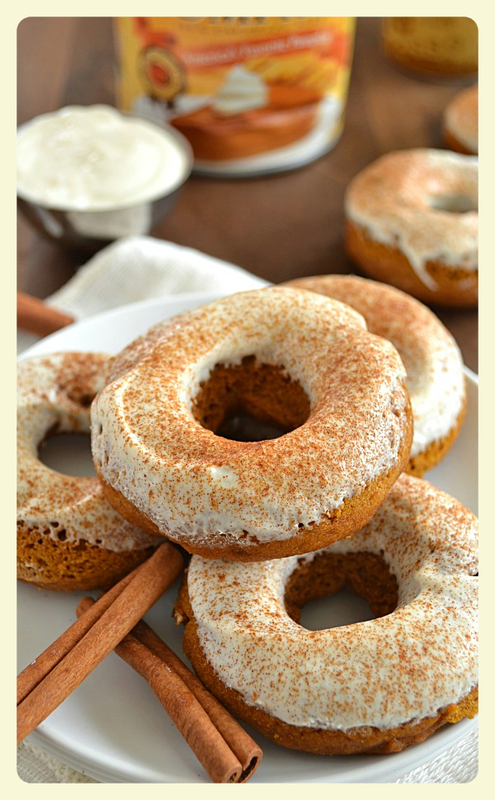 This recipe contains three of my favourite things, cheesecake, pumpkin spice and doughnuts. Yes, that right all together in one yummy treat. It makes sense right?! These doughnuts are pretty much everything you love about autumn. Great for a snack to keep you going through the cold days. These doughnuts are worth every single calorie and they put store bought doughnuts to shame. Mainly because they’re baked, not fried. And taste even better than fried. There are rather a lot of ingredients for these doughnuts but lets be honest they are totally worth it. Prepare the donuts: Preheat oven to 350 degrees Fahrenheit. Lightly grease a donut-pan. Set aside. In a large bowl, whisk pumpkin, sugar, oil, milk, egg, and vanilla until smooth. In a separate bowl, combine flour, baking powder, cinnamon, and salt. Gently fold flour mixture into liquid mixture until just combined. Place batter in a resealable plastic bag and snip off a corner. Pipe batter into prepared donut pan. Bake donuts for 10 to 11 minutes, or until a toothpick tests done. Cool donuts in pan 5 minutes, then remove to a wire cooling rack. Make the cheesecake glaze: Place softened cream cheese in a medium bowl. With an electric mixer, beat on medium speed until creamy. Beat in sugar, vanilla and enough milk to achieve a thick glaze-consistency. 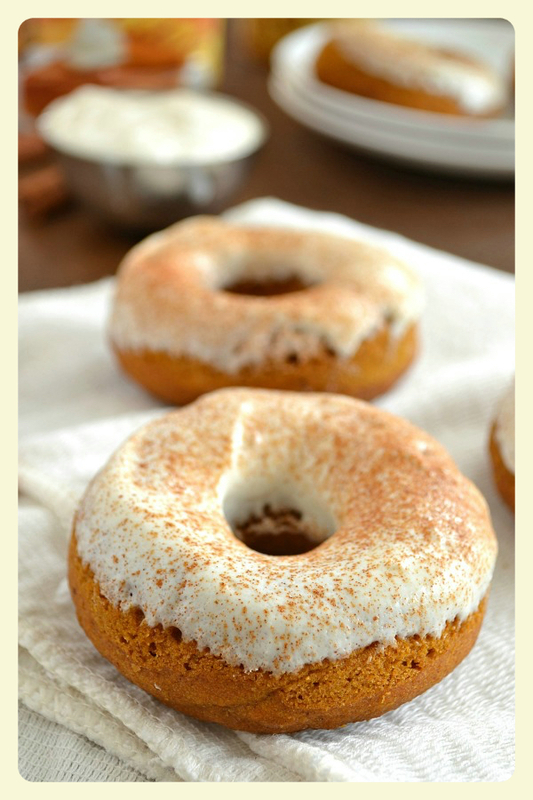 Dip cooled donuts into cheesecake glaze and sprinkle with cinnamon if desired. 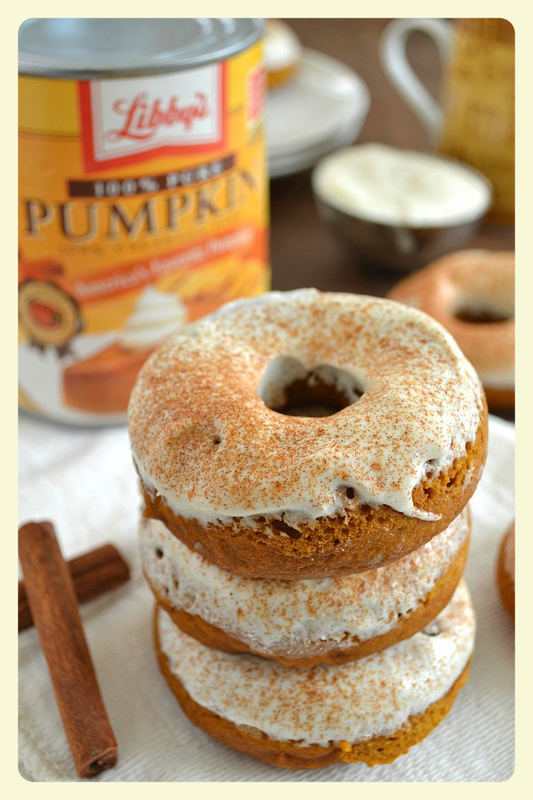 Yesterday I shared with you a recipe to make your own pumpkin spice just in time for autumn. So I know that everything is about pumpkin spice lattes right now but I thought would try and bring you something new. 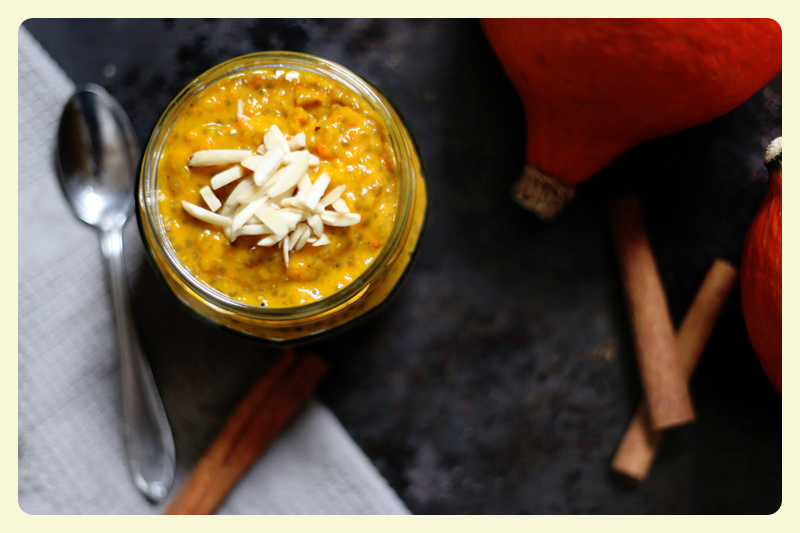 Introducing the Pumpkin spiced chai pudding! Mix chia seeds with milk in a jar or bowl, cover it and store it in the fridge overnight, or at least for 4 hours. Next morning just add spices and pumpkin puree, and some maple syrup or honey, if you like it sweeter. Enjoy! This is a super easy and delicious recipe and you can have it for a breakfast or a desert! 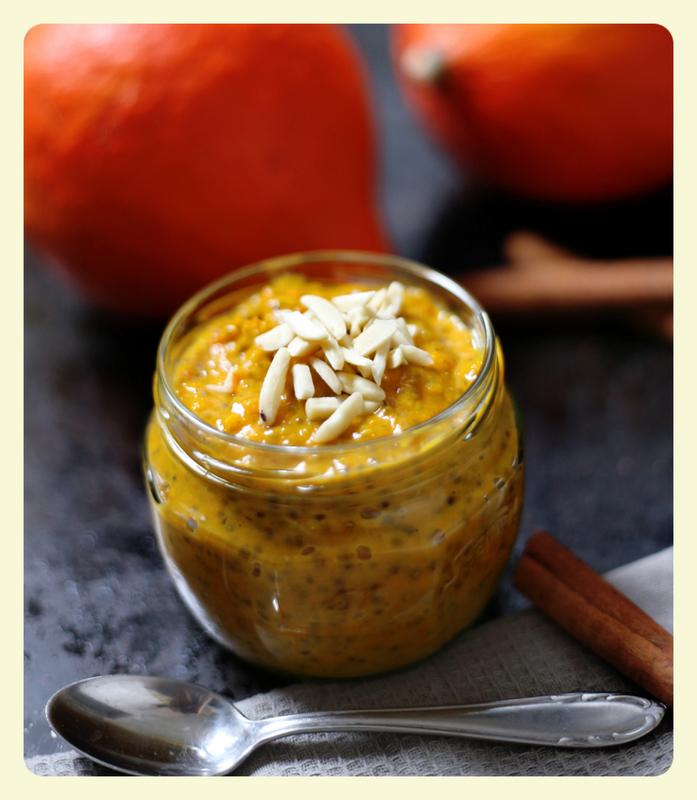 Enjoy your yummy Pumpkin spiced chai pudding and I will see you tomorrow for another delicious recipe! So I went online today to do my food shopping and I thought as its Autumn I would buy some pumpkin spice to add to my food this season. Literally nowhere sells it. I would understand not having it the rest of the year but this time of year I thought they would be selling it everywhere. So I figured I would have a look online and get a recipe. The recipe for pumpkin spice is ridiculously easy. Combine spices in a small bowl; mix well to combine. Store in a small spice jar or container. 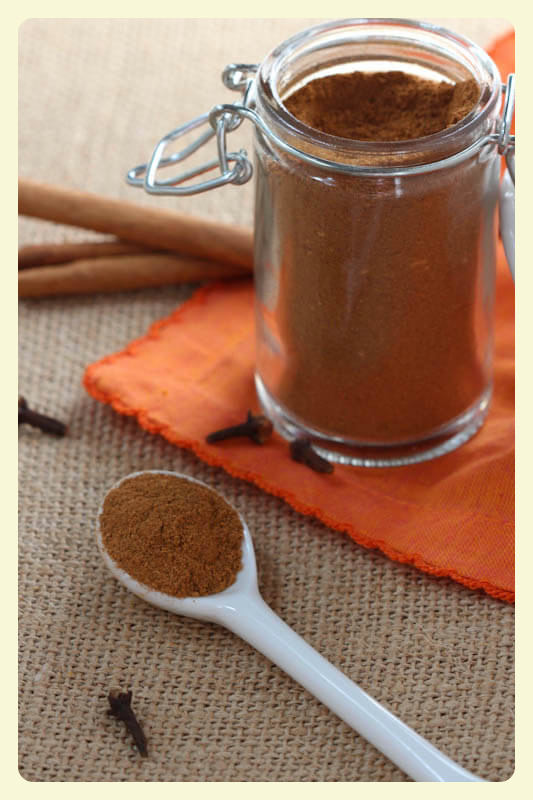 Tomorrow I will post some recipes using this yummy homemade pumpkin spice. Stay tuned!